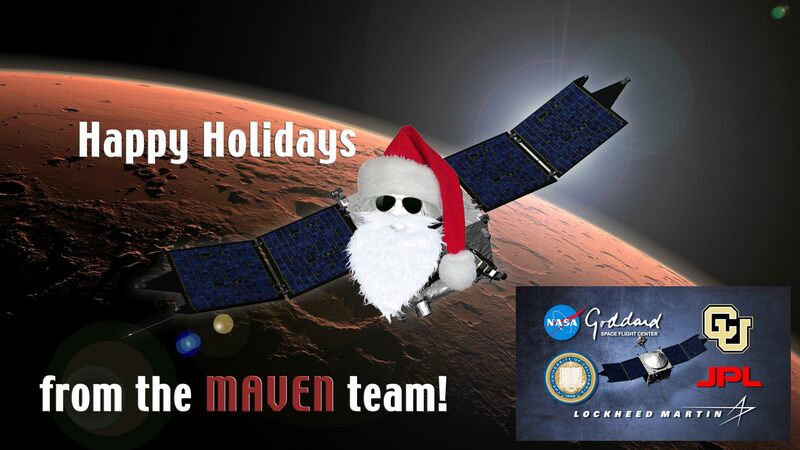 Happy Holidays from the MAVEN team to you and yours! Have a safe and happy holiday season, everyone. Here’s to exciting science from Mars in 2015 and beyond! This entry was posted in research. Bookmark the permalink.